Mas de Notre Dame de Vie in Mougins, on the Côte d’Azur was bought by the Spanish artist in 1961, and he lived and worked there until his death in 1973, aged 91. One of its living rooms leads out to a terrace with a fireplace, adjacent to the kitted-out kitchen with a utility, prepping kitchen, two cold storage areas, and a wine cellar with space for 5,000 bottles. There was only one bidder in the courtroom in the southern French town of Grasse and his name is Rayo Withanage. Mr. Withanage had bought the house just four months before in June 2017, when it sold at a previous auction for just over €20 million, bidding up from €18.3 million. With a starting price of €20.2 million, and nobody else competing it was picked up on October 12th 2017, by Mr. Withanage again. The long saga of the 15-bedroom property and three-hectare estate started long before the Spanish painter bought it, when for decades it belonged to the Anglo-Irish Guinness brewing family. Illustrious celebrities were frequent visitors, among them Winston Churchill, who liked to paint on the grounds of the sprawling villa. The property dates from the 18th century and has extensive views on the massif of Estérel and the Bay of Cannes It’s composed of various dwellings and during the most recent remodeling was enlarged with a number of sophisticated additions. These included a renovated fireplace, new glass windows, a pool house, swimming pool, elevator, air conditioning, spa, garages, house for caretakers and various other annexes. 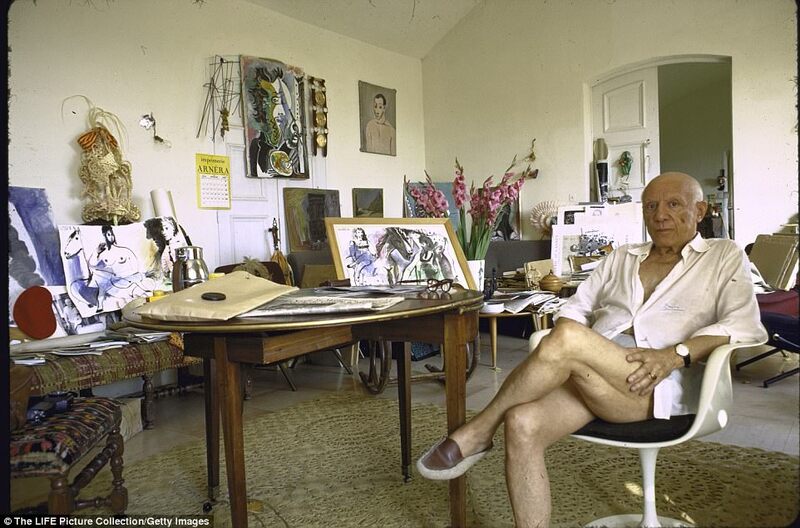 The only original space from the Picasso period is the studio in the main house that the legendary artist had created by opening several spaces and which still bears traces of paint but none of his works. Owners of contemporary or older period properties often wish to re-introduce or retain the centrepiece of a fireplace in their chosen style or on the style of their original home. It is always worth putting a little bit of extra effort into researching the origins of the aspired style or original house and matching the new purchase or revamp of an old fireplace, stove, gas or electric fire, in keeping with or alternatively in direct contrast to the homes other decor and architectural features. To do this sympathetically in a new build or in an older house, it is necessary to have a firm grasp and understanding of the historical style of the fireplace that would once have graced your chosen style or original period home. This article will outline a number of important historical periods and styles of fireplaces and briefly talk you through the differing styles and designs of fireplaces found in the market today either as originals or as accurate reproductions. Your local fireplace showrooms and suppliers can always be found using the search facilities at Fireplace.co.uk who will always be willing to offer expert and considered advice. The Louis or King Louis fireplace is named after the nineteen French Monarchs who ruled from the 1300s until the French Revolution of 1789. The Louis fireplace we are familiar with today should more correctly be referred to as Louis Revival fireplaces as they are the product of the efforts of 19th Century architects and designers to re-introduce styles which mimicked rather than faithfully reproduced the original designs of Louis XIV. XV and XVI reigns. 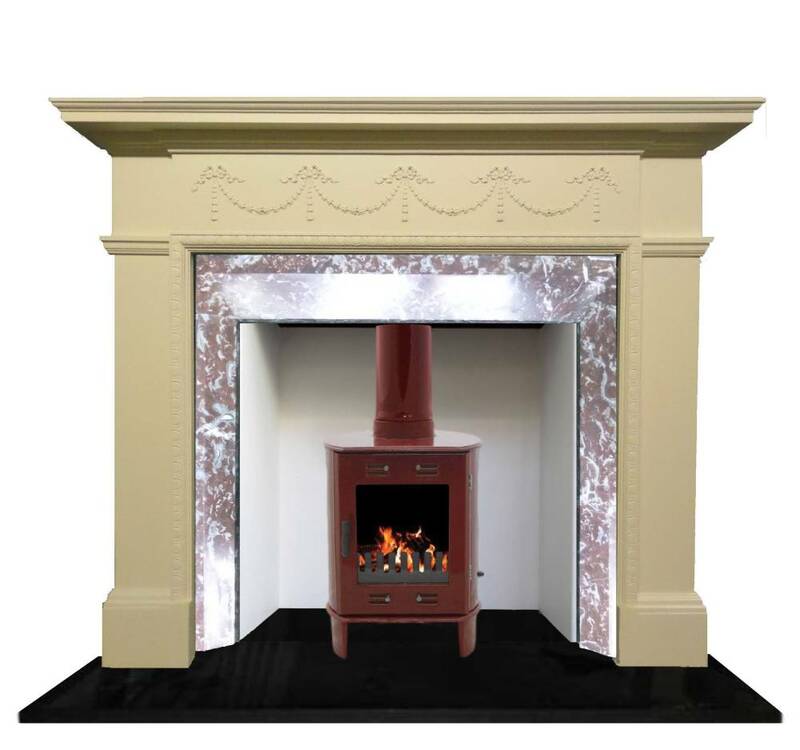 The Louis Revival fireplaces popularised in the 19th Century and Victorian period were in general made in England and France and are a lot less elaborate in design than their original predecessors. A typical Louis revival fireplace projects nine inches or so from the wall. The front is flat and box like with a wide rectangular opening for the fire dogs, grate or basket. The designs of the Louis Revival fireplaces were more elegant than their counterpart British marble fireplaces often being made by Italian craftsmen with additional detailing and finishing completed by French artisans. The Louis XV fire surrounds which are ever increasingly popular today with their graceful curves and swag designs are much more reminiscent of the revivalist period of the 19th Century than their original forbearers. In comparison with a Louis XI fireplace a Louis XVI fireplaces is squarer and more masculine in design striking a close resemblance to their English counterpart marble designs which have been popular for over two hundred years or more. The Georgian period 1714 to 1820 although technically the latter years of the period should be referred to as the Regency period marked a transformative period of economic and socio political change in English history. If those of us old enough care to remember our GCSE ‘O’ level history this period is marked by the agricultural revolution of which George III was a great proponent. It was a time where many of our great stately homes were built or remodelled and renovated from the newly found wealth of improved agricultural techniques and methods. This period is littered with the great names of architecture as Cohen Campbell, William Kent and James Paine whilst John Nash will forever be associated with the late Georgian period we call the Regency style. From the overtly ornate fireplaces of the Louis period the tradition was to carry on in the early Georgian period (1714-1760) with inspiration drawn from the earlier works of Inigo Jones influenced by the imagery of classic Greek Mythology. As with the architecture of the time Georgian fireplace designs were governed by strict rules of proportion and elaborately decorated with the images and styles borrowed straight from classic history. Designers’ like William Kent were commissioned to provide very grand and sumptuous fireplaces to form the centre pieces of grand stately rooms in the Palladian style. 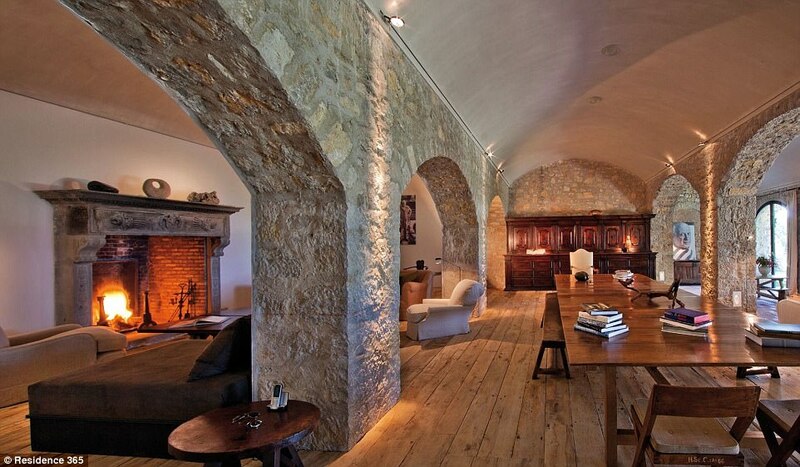 Very conveniently for us the history of fireplace design falls neatly into two halves. The first half of the century characterised by immense huge, grandiose, and overtly ornate designs, whilst the second part of the century witnessed a transition to more subtle and classic designs which will forever be associated with Robert Adams and the fireplaces which still bear his name today. Adams introduced with some going as far as to say revolutionised fireplace design with a new more subtle elegance. Fireplaces became lighter and not so burly and heavily ornate in their design displaying finer and sharper low relief carving accompanied with the use of inlaid coloured marble in contrast to the statuary marble of the main body of the fireplace. By the 1800s fire surrounds began to include roundels where the jambs and entablature met below the mantelshelf. The combination of reeding and roundels very quickly progressed into the late classic Georgian design which is so easily recognisable today. The next forty years of the Georgian period saw a more eclectic approach in design styles evolve. Fireplace surrounds in the better off homes began to reflect the new found interest in neo-Greek, Gothic, new-Egyptian and Jacobean styles of architecture. This could include gold-leaf Etruscan motifs or even Wedgwood ceramic plaques with swags, ribbons, lyres and urns. The end of the Georgian period is denoted by a return back to the more classical but equally more simplistic styles often characterised by Chinois Erie designs preferred by the then Prince Regent George IV. The ornate and classic designs of the Georgian period did not necessarily percolate down through the social classes or more correctly stands. The land based farmers and yeoman who made up the bulk of the population at that time stayed true to the very much more rustic looking fireplaces which, were traditionally inglenook in design with large oak beams and are still very evident and commonly seen in older cottages of today. The Regency period witnessed a much more austere approach to architecture and consequently fireplace design. Gone were the overtly ornate fireplaces of the Louis revival and Georgian period so beloved by the previous generation. To be replaced by much more rectilinear designs characterised by flatter leg with reeding as an insert or a singular or double Greek Colum supporting the fireplace header. The reeding decoration was often continued across the header or substituted with twin parallel lines or the ever popular Acanthus leaves or images from Greek and Roman mythology or history. Not only did designs change but fireplace proportions changed with the height becoming lower with the replacement of the corniced shelf with the rectilinear shelf. Marble and in particular Statuary marble was a much sought after material and the material of the day for fireplace design and manufacture. However the onset of the Napoleonic wars and the prohibitive cost restricted its use to high status public rooms whilst other reception and less grand spaces relied on the innovative skills of highly skilled artisans to replicate a faux marble finish from cheaper and more readily available materials such as plaster. The Regency period design has remained ever popular and influences many fireplace designs today from contemporary interpretations to faithful reproductions for restoration projects. The Regency period fireplace has proved to be easier to reproduce that it’s more elaborately decorated predecessors. Victoria’s reigned from 1837 until her death in 1901 and it is impossible in design terms consider this time as a single unified period. Up until the death of her Consort Prince Albert in 1861 designs were still heavily influenced by the classical features so prominent in Georgian and Regency designs. There was resurgence in Louis fireplaces at this time partially due to the availability of original fireplaces removed from the châteaux’s of the French nobility during the French Revolution. The improvements in iron working techniques and ever increasing industrialisation and urban living created a need for a standardised fireplace that could be easily and cheaply manufactured. A niche cast iron was easily able to fill. It is also worth noting as a direct backlash to modernisation and industrialisation that the mid to late Victorian period was heavily influenced by the Arts and Crafts movement and the emergence of Art Deco designs. The Arts and Crafts movement drew its inspiration from the 1450’s when fireplaces were only just beginning to be situated on the sidewall of Great Halls with the advent of the chimney. Fireplace designs were often constructed of brick or other locally sourced stone, large, well rounded and had an inglenook appearance. Bricks were often laid vertically, conventionally or in a herringbone pattern. Later designs included tiles arranged in a flowing pattern similar to those associated with the work of Charles Rennie Mackintosh and the later Art Nouveau movement. Tiles often showed a pastoral scene or complex floral motifs. Rockwood Pottery who produced the early Arts and Crafts tile designs shared a close association with William Morris the founder of Morris & Co. We still live with the Arts and Crafts legacy often seen in mock Tudor houses, reproduction wall panelling and old brick fire surrounds. The work of Charles Rennie Mackintosh is either viewed as a modernist in style or providing the bridge between Art Nouveau and Art Deco design styles. Either way Mackintosh fused classical shapes with new industrial art and his work was in interior and fireplace design was exclusive to the particular design of a specific building in his believe the interior should complement the exterior. As a result most of his work was commissioned on a one off individual basis. Fireplaces were in is opinion, the “glowing focus with decorative symbolic interest” and should relate to the room and meet the individual personal needs of the owner. Due to the highly personalised nature of Mackintosh’s fireplaces today’s replicas tend to imitate his graphic style rather than personify his overall design style. The turn of the 20th Century marked a period of an emergence of a plethora of fireplace designs. Still popular were the heavy neo Gothic styles of the mid – Victorian period but the emergent new industrial middle classes were turning to the more modernist powerful design form of the Art Nouveau movement. This new art form and design style lifted the mass produced and until then more utilitarian cast iron fireplace closely associated with the growth of town living and industrialisation into the modern era by adding sinuous relief designs and introducing the now so familiar tile sliders. This yearning for modernist designs which unified the twin aspects of work and leisure within the new social fabric spilled over into Art Deco design which became prominent in the mid 1920’s. The traditional middle class sought to gentrify their homes with mock Tudor influences and inglenook fireplaces in the William Morris style often introducing over mantles which would never have been part of the original Tudor design. Whilst the intelligentsia and more artistically inspired new middle classes were drawn to the Art Deco influences of the rejection of history for modernity, the sacrifice of decorative detail for function, and the adoption and adaptation of industry in its design. Art Deco relied on traditional fireplace materials but the materials were used in a much more spectacular way. Avant garde was the order of the day Art Deco characterised by simple understated lines were highlighted by the use of reflective chrome, highly lacquered woods and tiles to create a thoroughly modern sense of design. The austerity after the 2nd World War and the need to build houses to replace war damaged properties and the slum clearance program forestalled the fireplace industry as conventional fireplaces were replaced with their electrical counterparts. It wasn’t until the more affluent MacMillan period of the 1950’s that there was resurgence in the installation of the traditional fireplace in new build properties. Gone were the ornate Art Deco, Art and Craft designs replaced by tiled slab designs produced by National Fireplace Manufacturer’s Association founded in 1945. These new fireplaces were made to specification rather than design by the middle of the decade even the wooden fire surround had disappeared. The later advent of central heating saw many fireplaces ripped out and consigned to the landfill site. It is only since the late 1970’s onwards people have decided to or re-install the original design features back into period properties or reinstate the fireplace back into their homes as the heart of the home or as a much missed design feature. When it comes to installing or renovating a closed off fireplace the options are endless, there are countless contemporary, and traditional designs for you to choose from. Read the original article here. What style fits in with property? What is the interior design finish you want to achieve to complement your home? Is the fire going to be a primary or secondary heat source? Either way what heat output (BTU) do you require? Not unrelated to the last question what fuel would suit the household and your individual lifestyle, wood, solid fuel, gas, oil, electric or a gel fire? What external limitations affect your choice e.g. available flu or chimney, smokeless zone etc?